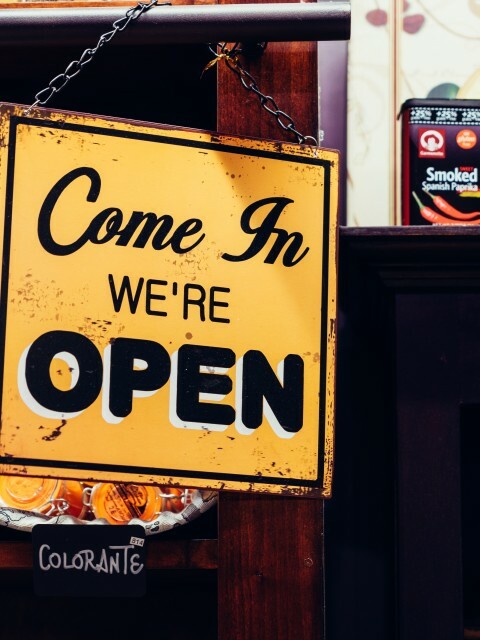 As a small business owner, you are responsible for the security of your place of business, your inventory and the cash you keep in your place of business. Security can become a stressful thing and can seem hard to manage. You can keep your business safe by adopting a daily routine, being organized and making the best choices in function of the needs of your business. These tips will help you make your business safer without overspending. You need a quality alarm with a motion sensor in your place of business. The alarm should be visible from outside or you should have a visible sticker that indicates you have an alarm. Burglars will be a lot less likely to target your business if there is a visible alarm or sticker. You should also install a panic button under your counter so you can instantly alert local law enforcement. You should think about investing in a CCTV system as well to see what is going on inside of your business when you are gone. Having a security system adapted to your needs will provide you with peace of mind. You might think that you don’t really need a CCTV system but video evidence will make catching burglars a lot easier if your place of business gets broken into. You are an important part of the local community as a business owner. You will get to know local residents and other business owners. Some people probably come into your store on a regular basis and know you fairly well. If there is a neighborhood watch, consider supporting it. You should also consider organizing a meeting with other business owners so you can talk about issues and find some strategies to keep everyone safe. Other business owners might have run into issues with specific individuals and would be able to warn others in these meetings. If you have a website to sell your products, you need to protect it from cyber attacks. You need to host your website on a safe platform such as WordPress. If you decide to host your site on a different server, do some research to make sure this server has never been successfully targeted by hackers. You need to provide online shoppers with a safe way to pay for their purchases. Use a payment processing platform that encrypts data and make sure online shoppers always use strong passwords to protect the account they create on your site. If you store personal data and payment information in a database, make sure this database is safe and do not keep this information for too long to reduce risks. Keeping your website and online store safe can be complicated, especially if you are not tech-savvy. It is best to work with a professional who offers their services as a security consultant or to get help from a specialized retail security company. You cannot sell products online if you are not able to guarantee the safety of online shoppers. You probably get a lot of payments made in cash or with debit and credit cards. Cash represents a security risk because this is often what burglars are after. You need to invest in a safe that you can keep under the counter to keep your cash in it. You should move money from your register to the safe several times throughout the day. You can then transfer the money from the safe to the bank if you are having a busy day or wait until the end of the day to make a deposit. Make sure every staff member is properly trained and knows how to safely handle cash. You should keep a detailed log for all your transactions so you know exactly how much should be in the register, in your safe and in your bank account. Review all the deposits you made in your bank account on a weekly or monthly basis to make sure there are no anomalies. Keeping your business safe is one of your many duties as a small business owner. There are things you need to do and check on a daily basis to make sure your business is safe. You need to make sure all your employees are familiar with the practices you want to follow to keep your business safe and should think about getting help from an expert. Most days will go smoothly and you will not have to worry about the safety of your business. However, it is best to adopt a pro-active approach and to invest in a security system and to have a set of best practices to follow. Have a consultant help you develop these best practices if you are not sure about what you should do. What Kind of Mentor Should an Entrepreneur Seek?